One of my favorite things in Stampin' Up! 's current catalog is the Timeless Elegance Designer Series Paper (138444 $11) because of its versatility when you add in color to make quick and easy cards. 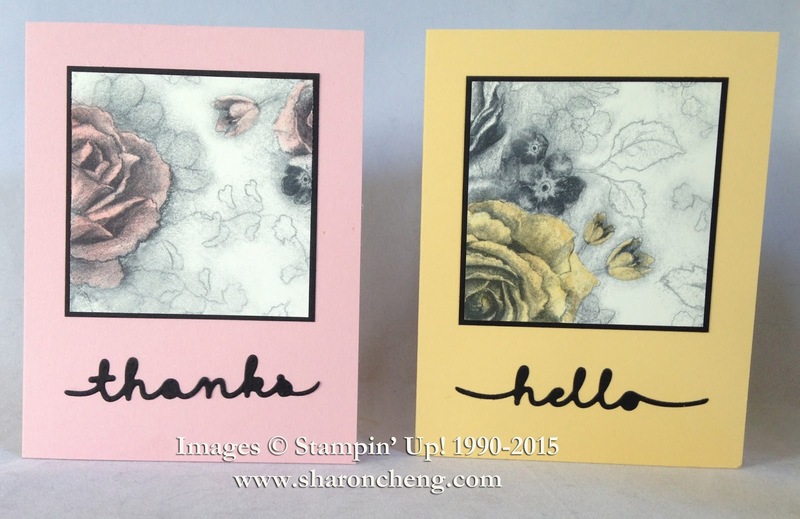 I designed these two cards for my stamp club. Everyone got a 3x3 piece of the Timeless Elegance paper and they chose Blushing Bride or So Saffron as their background. 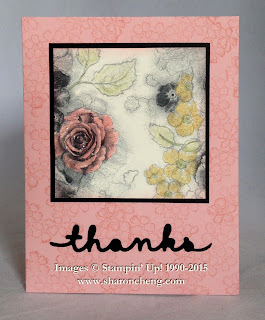 They inked the flowers of their choice with the same colors using a combination of daubers, Stampin' Write Markers and blender pens. While it doesn't show up in the photos, they also added Dazzling Details for a touch of bling. Carridine made this card. The roses are covered with Dazzling Details. 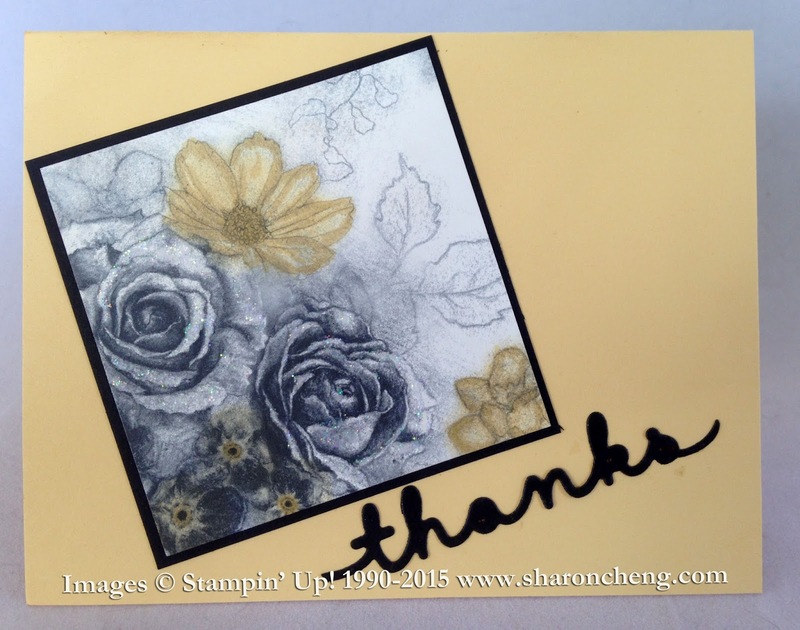 She thought it would look even better with a background stamp but figured that out after she had already adhered everything to the card. 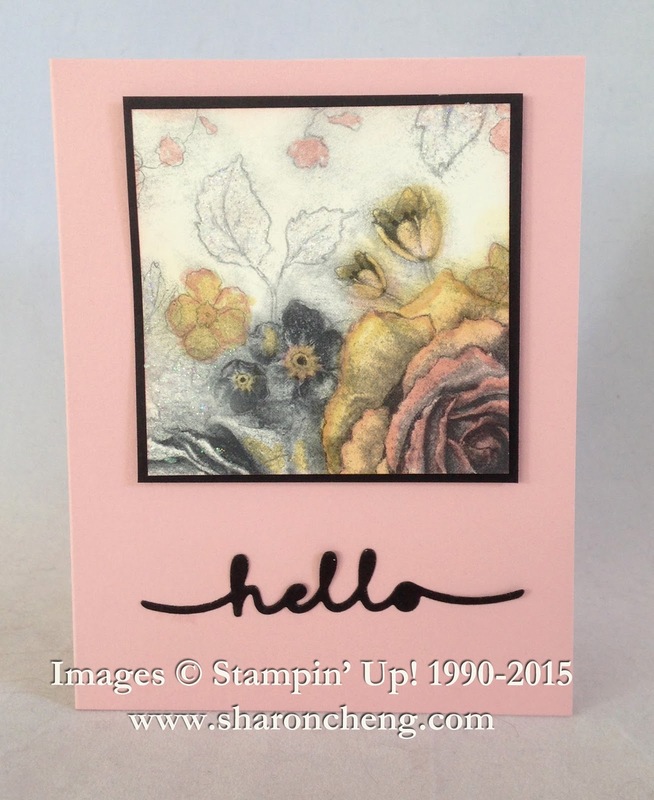 Terry decided to use both Blushing Bride and So Saffron on her card. 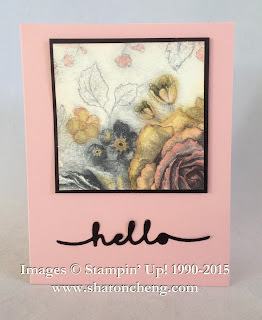 Thanks to my stamp club, I was inspired to make this quick and easy card using more than one color and a background stamp. You can barely see the Dazzling Details on the flowers. Isn't it fun when you get inspired as you create and share with friends? 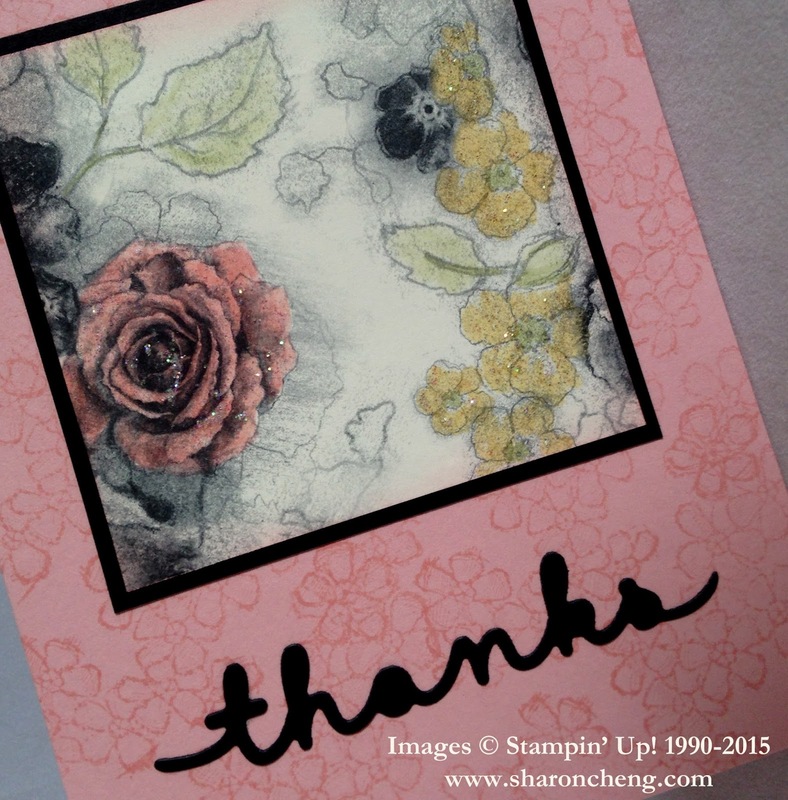 I enjoyed seeing how each person used the same elements to create different versions of the same quick and easy card. 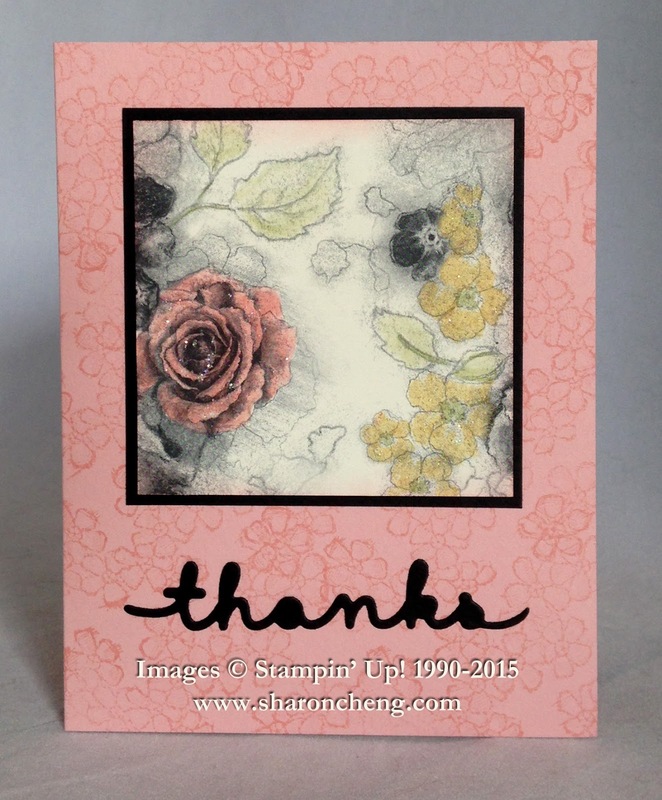 Check out the other cards we made using the same Timeless Elegance Designer Series Paper.